Weekly Update (May 24): Modern Masters 2015 is Out! Browse > Home / Strategy / Articles / Weekly Update (May 24): Modern Masters 2015 is Out! Modern Masters 2015 is Out! Modern Masters 2015 is finally out! There was a lot of controversy this week over the new packaging, from how easy it is to repack a booster, to cards being damaged in the packaging. Wizards released an official statement that didn't really alleviate any concerns. Packaging issues aside, have you played it yet? Any sick (undamaged) pulls? Remember, this upcoming weekend is the triple GP weekend which will give us a little more insight into where prices will settle. Remember that you can find all the latest MM2 prices on our Modern Masters 2015 page. In this week's Budget Magic, @SaffronOlive delves into the Pauper format with a UB Mystical Teachings Control deck. Budget Magic: $22 (and 7 tix) UB Teachings Control for Pauper. @SaffronOlive explains why the MTG finance community needs to think of Modern like Standard rather than Legacy. The Future of Modern (Masters). Jake Stiles builds a deck from a simulated sealed pool of Modern Masters 2015. Modern Masters 2015 Sealed Practice. A product review of the BCW 8-Pocket Pro-Folio LX. Product Review: BCW 8-Pocket Pro-Folio LX. 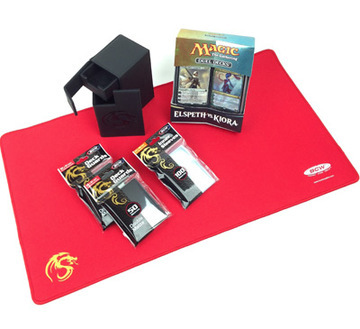 There's less than 24 hours to go for your chance to win a BCW Supplies Bundle including sleeves, a playmat, a deck box and an Elspeth vs Kiora Duel Deck! Such value! It's free to enter so check out BCW Supplies Pack Giveaway today.